Conservation Education Celebrates the 1,000,000th Student! On February 17th, 2007 at the Annual Banquet and WISE Award presentation, we celebrated a very significant milestone. That milestone was the graduation of the 1,000,000th student in Conservation Education. The student went through the program at our Edmonton Conservation Education Centre for Excellence on October 15th, 2006. The Instructor that hosted the course was our very own Len Gransch, who was certified to teach Conservation and Hunter Education in the late 70's. Len proudly reflects that he receives the “FUEL” that feeds most volunteers through interaction and association with the students in his classes and in the field. This class session was a good example of such motivation. At the start of the class Len, as he does in all his classes, asked all participants to state their names and indicate why they were taking the course. When it came to this young lad he told the group his name was Bill Sperling and that he had looked into hunting and thought it was something he would like to do. The next youngster was Ed who informed the group that Bill was his brother and that after Bill talked to him about his hunting interest he decided it would be a good thing for him to try as well. The next person was Felix who told the balance of the class he was there to support his two sons Bill and Ed. Felix informed everyone that no one in their immediate family had really hunted before. As is the case during breaks there is a lot of interaction with the students. The Sperling's were very inquisitive and exhibited a genuine joy in learning. During the class Len informed everyone about our First Time Hunts and Mentorship opportunities. During the class all three Sperling family members exhibited a great interest in all aspects of the H.E. course. On test day they showed up well prepared all scored in the high 90's on their test. Felix indicated to Len that if they were now going to be hunters they should probably look into purchasing a firearm. Len informed him of the procedures involved and they signed up for our next Canadian Firearms Safety Course starting only 3 days later. All family members once again exhibited enthusiasm for the subject material and the firearms handling. Felix told Len that they had fired a .22 rifle on a farm years ago. Once again everyone passed with flying colors – all of them once again scoring in the high 90's. During this course Len and the crew talked about the possibility of the boys going on the First Time Hunt to Oyen. 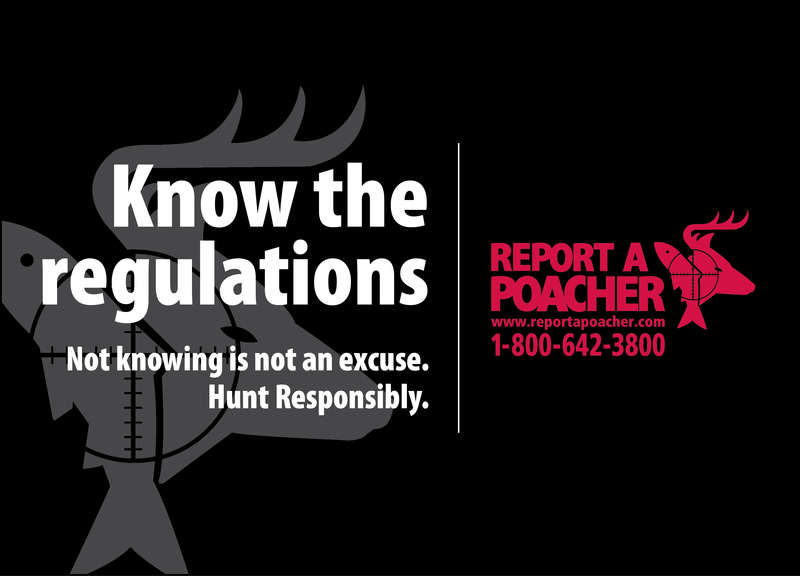 After some planning it was decided that all three would be part of the antlerless mule deer hunt that AHEIA hosts with the very able assistance of the Oyen Rod and Gun Club. The Oyen group has demonstrated incredible energy and leadership on an annual basis as they work to perpetuate the hunt and what the hunt means to all involved (That’s another story for an upcoming newsletter). They corresponded back and forth about equipment and logistics over the next few weeks and Len could tell that the excitement was building from the tone of their voices. Felix told Len he took the boys out shopping and made sure they had all the necessary equipment. Departure day finally arrived and at last the crew was on their way for their first hunt. The drive down was filled with excitement and a bit of apprehension but everyone was in high spirits and they had some laughs along the way. You can tell a lot about people when you are 'trapped' in the same confined space for hours. Len quickly learned that Felix had instilled high family values in his boys. Ed and Bill were always polite and attentive and at times Len forgot how young they really were (Bill will be 16 in September and Ed is 18). At hunt camp they were always friendly and excited when anyone in the group was lucky enough to harvest a deer. In the end Felix and Ed each harvested nice does and were pleased at the prospect of dining on their bounty. Although Bill was the one who started the ball rolling he did not take home a deer. Bill was still happy about the whole adventure and told us he had a great time. As all good hunters know the object of the hunt is the total experience vs. a “full bag” and Bill clearly understood this even though this was an inaugural experience for him. This was clearly the sign of a young man with a keen sense of understanding. Len has promised that he would take him out again for another hunting trip sometime in the future. The ride home proved to be lots of fun. Len felt like he was with some old friends that he had known for years. Len and our hunter mentors will be hooking up with the Sperling family for more hunting opportunities in 2007. At our annual banquet we commemorated this occasion by presenting Bill with a special framed certificate commemorating the 1,000,000 student milestone. 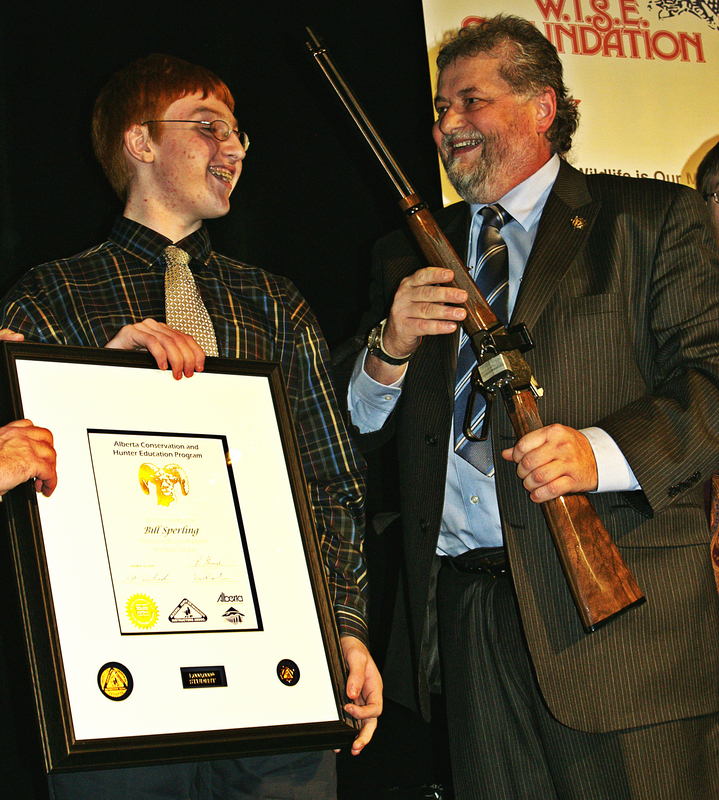 Bill was also presented with a brand new Browning BL 17 rifle. Deputy Minister Brad Pickering and Instructor Len Gransch were on the podium to make the presentation. Young Bill then took the podium and shared some words of wisdom with the audience and made all present proud to be part of this heart-warming celebration. The 1 Million student milestone is a phenomenal achievement indeed. While it took some 47 years to reach the first million, we are assured that it will take significantly less time to reach the next million. With the introduction of on-line training and the significant increase in student enrollment we are sure to continue to spread the news of Conservation Education and the value of wildlife and wild places. In 2007, we project that 55,000 students will be touched by at least 1 component of our program outreach. Every volunteer who has participated in the astounding record as well as those who stand ready to assist on a go forward basis need to feel a tremendous sense of pride in spreading the word and helping to make Albertans lives better by sharing this mission. Congratulations once again to Bill Sperling and all involved in helping us celebrate this special occasion. Back to Who is AHEIA?